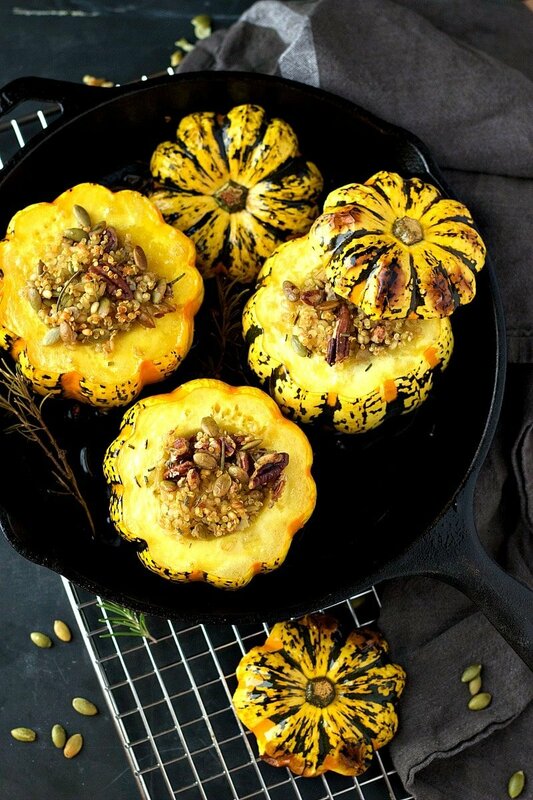 This Quinoa Barley Stuffed Squash is a beautifully warm and festive Fall dish topped with pumpkin seeds, pecans and aromatic rosemary. This week the weather has really brought in that gorgeous Fall scenery, with an invitation to pull out the boots and cozy oversized sweater from the closet and take a stroll in town while sipping on a warm pumpkin latté. Sounds like a clip from a movie, doesn’t it? Well, that’s how it feels like to be perfectly honest. 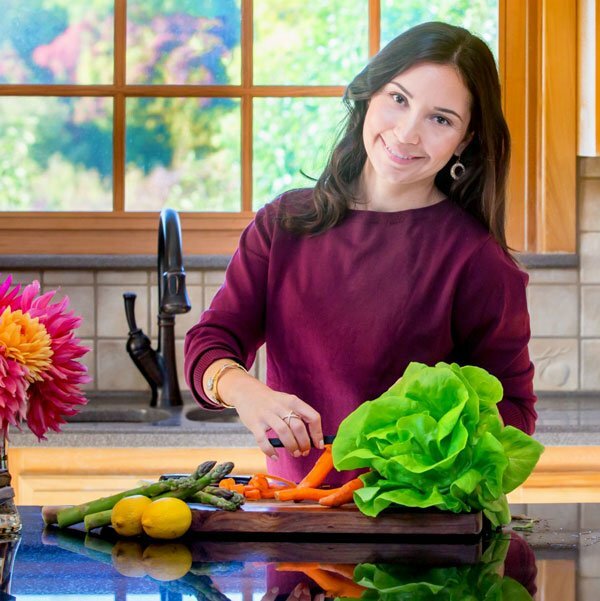 But even more exciting, I took my newly renewed excitement to the grocery store to shop for beautiful and festive food, the kind that you want to eat with your eyes. 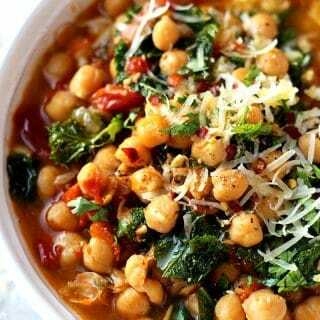 Would you agree that some food have the power to instantly make us feel warm and cozy? That’s when you know we truly eat with our eyes! Carnival squashes are cool like that! Not only do they make gorgeous centerpieces to decorate the home but talk about a centerpiece dish that will leave your guests mouthwatering even before they lay a single fork on it. Carnival squashes are surprisingly sweet with a nutty finish. Try roasting with olive oil, salt and pepper or lightly glazed with maple syrup. super versatile. Roast in slices or stuff it with quinoa, rice, lentils or whatever you like. 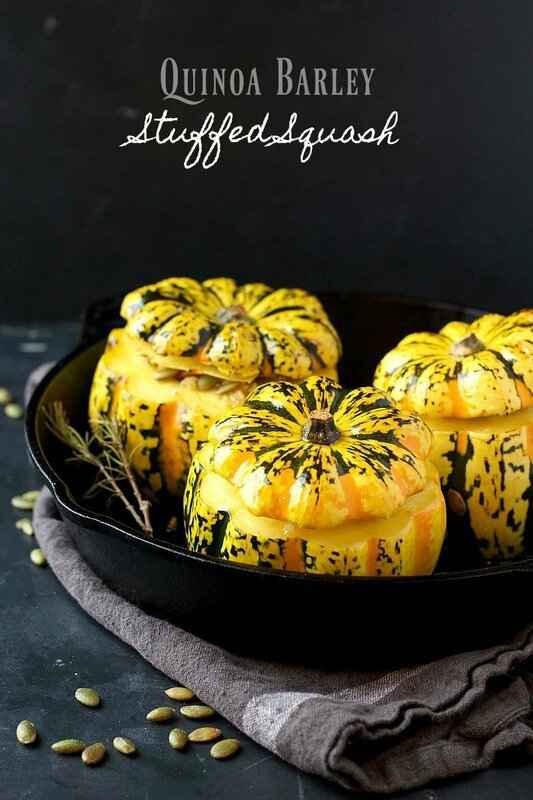 it’s worth mentioning again how beautiful of a display carnival squashes really are, especially if you are looking to serve an eye catching dish for the holidays. 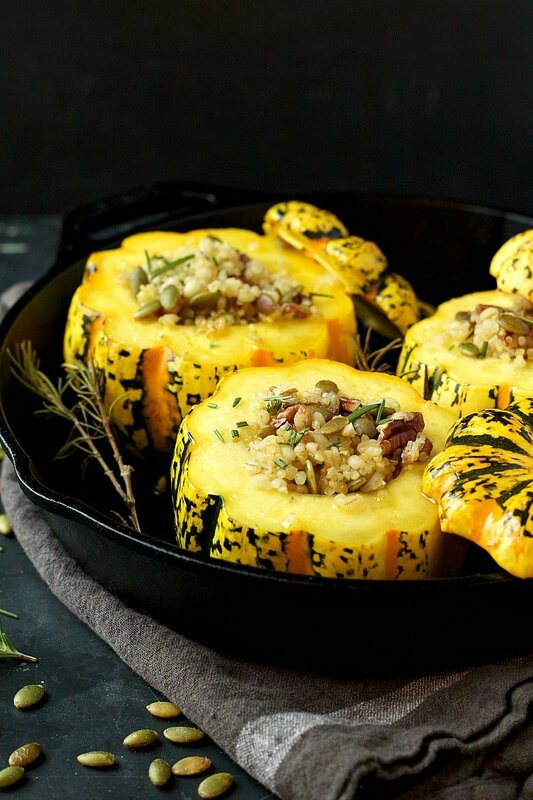 Another delicious option is this Quinoa & Spinach Delicata Squash! 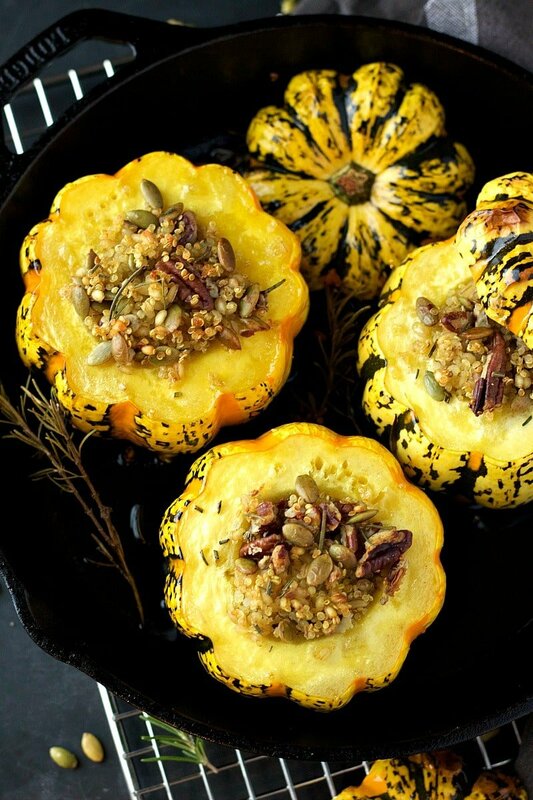 In this recipe the carnival squashes are stuffed with quinoa and barley, and topped with pumpkin seeds, crushed pecans and aromatic rosemary. 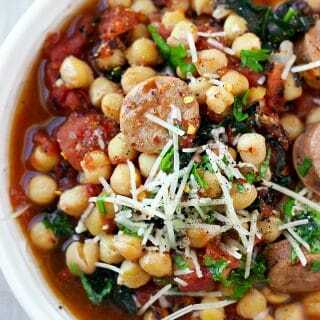 This dish has everything we love about Fall, from it’s vibrant warm colors to the nuttiness and comforting flavors. 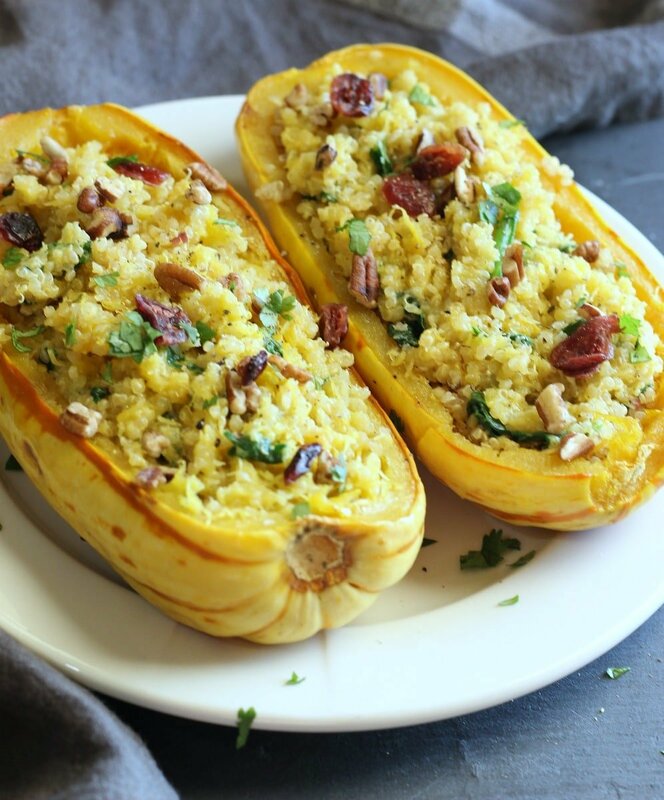 This Quinoa Barley Stuffed Squash is a great recipe to serve at a family dinner or during the holidays. Although it takes an hour in the oven, it’s only about 20 minutes of hands on work, mostly cleaning and preparing the squash. Wash and dry the squash. Make a thin slice on the bottom just so it sits flat, if needed. Cut the top off, about ¾ of the way up and set aside. Scoop out the seeds and clean the cavity completely. Brush squash with olive oil. Be sure to give it a generous coating of oil, inside-outside and tops too! 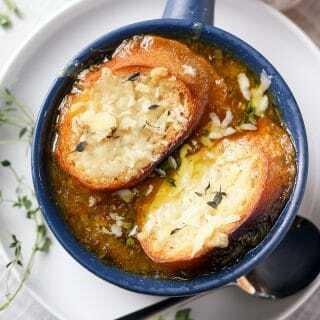 Place it in an oven safe deep skillet or dutch oven, put the tops back on and place a few sprigs of rosemary to the pan. Bake for ½ hour covered. Use aluminum foil if you are using a shallow skillet. Meanwhile cook quinoa and barley according to package instructions. 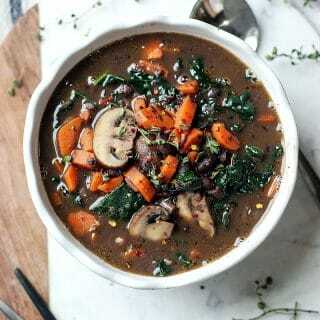 I cooked both together and added vegetable stock for more flavor. When done add in pumpkin seeds and pecans. Remove squash from oven and carefully remove the tops. Fill the squash cavity with quinoa barley mix and bake uncovered for an additional 30 minutes or until squash has softened to your preference. 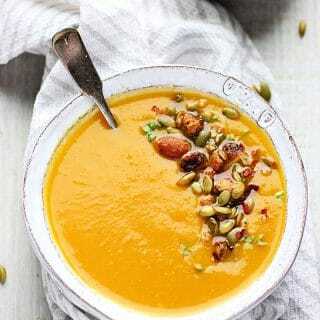 *depending on the size of your squash, it can easily be split into two servings. Note: I used only about ½ of the quinoa-barley mix that this recipe calls for, however my squashes were really small. 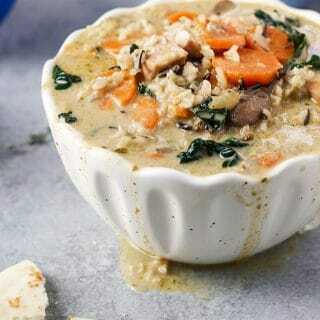 The amount of quinoa-barley this recipe calls for will easily fill the cavity of 3 larger squashes or 5 small ones.